Over the past few years Your Employment Solutions has experienced rapid growth. When looking at the structure of our company you will find that growth is, and always has been, in the forefront of our leaders' minds. 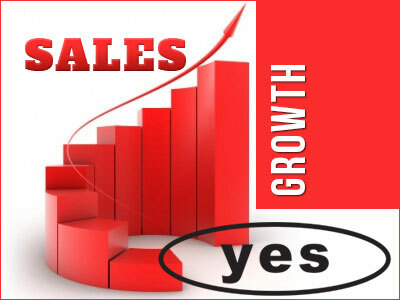 Sales are a critical factor in the success of most companies and the method through which sales are conducted often determines any company's rate of growth. That has certainly been true at Your Employment Solutions. The way that YES approaches sales is rooted in this idea of “Smart Growth.” Traditionally our company has used a focused sales model to support our expansion. This means that even though our staffing and employment services are highly adaptable and can be customized to meet the needs of any client, we have chosen to focus on clients working in the industries which we know best. Focusing our sales process in this manner gives us the ability to be the very best at what we do. The hardest part of sales for many people is simply getting started. Often we will get hung up because we are nervous. Most often that is because we have not effectively planned for what is required to complete a successful sale. Here are three phases of sales that can aid you in your growth strategy. Before you contact the company there are two essentials tasks that must be completed. The first of task is research! Find out the purpose of the company. What is their goal? Their mission statement? What makes them special? After conducting the research, comes task two: prepare the game plan. Lay out what you are going to say and do your best to anticipate the conversation. How would you react to your pitch? How would a person the complete opposite of you react to your pitch? Knowing these answers will help you be prepared for the meeting. You did all the research and made the call and now the big day has come. Most people think that previous efforts guarantee them a successful sale. The truth is 99.9% of the time you’ll leave empty-handed. Despite this fact, the most important part of this phase that must happen is you LISTENING! Listen to what they have to say, that will guide the conversation and give you the information you need to land the account! The most important ingredient you need to close any sale is trust. That means that an actual positive relationship has been established. Without a relationship there is no chance for a future partnership. After those initial meetings make sure you don’t drop off the face of the earth. Even if your prospect says no in the beginning, that does not mean that things can’t change in the future. In the end REMEMBER that you are selling your business. If you don’t believe in what your business has to offer then chances are your sales prospect wont either. You have to start somewhere and there is no better time then today to get the ball rolling. Chase Nielson is the branch manager for the Your Employment Solutions Logan staffing office. He helps connect jobseekers to jobs in Logan, Utah.